Awhile back I reported on a case where a jus tertii defense was allowed to go forward. 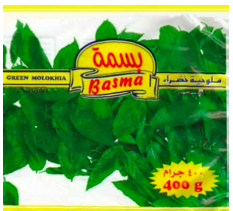 The defendant, Baroody Imports, claimed that its licensor, Orouba Agrifoods Processing Company, an Egyptian company and not a party to the suit, really owned the “Basma” trademark Baroody was accused of infringing, not plaintiff United Food Imports. But Baroody couldn’t bring it home. Its only proof that Orouba owned the trademark was an admission by a representative of United Food that Orouba had indeed sold frozen food under the Basma trademark first, but in Egypt, not the United States. Baroody also claimed that the trademark had been used by a company called Faragella Food, Inc. before United Food used it, but Faragella Food turned out to be a predecessor in interest to United Food (oops). Finally, even if there had been proof, the claim was precluded by a prior TTAB decision. Orouba had twice challenged the United Food registration of its trademark, once in an opposition and once in a cancellation, but it butchered the job. In the opposition, Orouba never prosecuted the case so it was dismissed. The TTAB then dismissed the cancellation action on the basis of res judicata, or claim preclusion, because of Orouba’s earlier failure to prosecute the opposition. Although Baroody was not a party to the opposition or cancellation actions, it couldn’t claim that it stood in Orouba’s shoes for purposes of asserting Orouba’s ownership while at the same time avoiding the effect of the earlier TTAB actions. Defendants cannot avoid res judicata simply because the first decision against Orouba was the result of a failure to prosecute a claim. Nor may Defendants reargue the TTAB decisions because they were not parties to the actions. To the contrary, Defendants claim to be in privity with Orouba and assert various rights on that basis. But privity “is merely a word used to say that the relationship between one who is a party on the record and another is close enough to include that other within the res judicata.” A party asserting the rights of another by virtue of privity is bound by judicial prior determinations concerning the rights of that party. Baroody’s defense that it wasn’t responsible because it wasn’t being deceptive predictably went nowhere. Summary judgment granted in favor of United Food on likelihood of confusion; Baroody enjoined from selling any products using the “Basma” trademark. United Food Imports v. Baroody Imports, Inc., Civ. No. 09-2835 (DRD) (D.N.J. June 8, 2011).